Colorful teaching aids such as Bible timelines, maps, and posters. Plus interactive teaching tools to actively engage students. 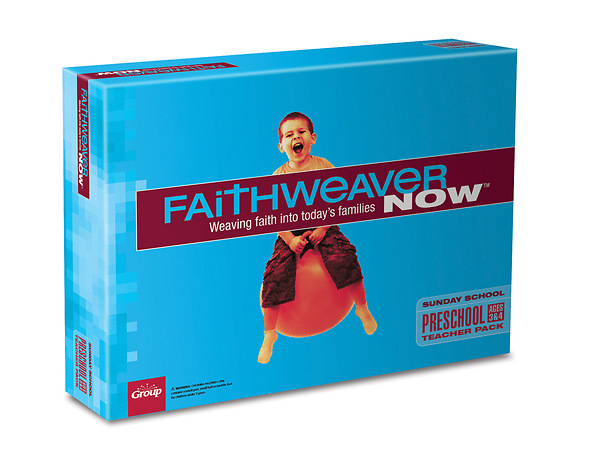 FaithWeaver NOW Sunday School curriculum weaves faith into today's families! Kids experience the Word of God in fresh new ways. Sunday school teachers teach strong Biblical content with minimal preparation required. Toddlers to adults study the same Bible passage each week, engaging each different age level appropriately, so at home the entire family can apply lessons to their lives. The Old Testament is taught chronologically during the summer and fall quarters, with winter and spring quarters teaching from the New Testament. The entire Bible is covered in three years.